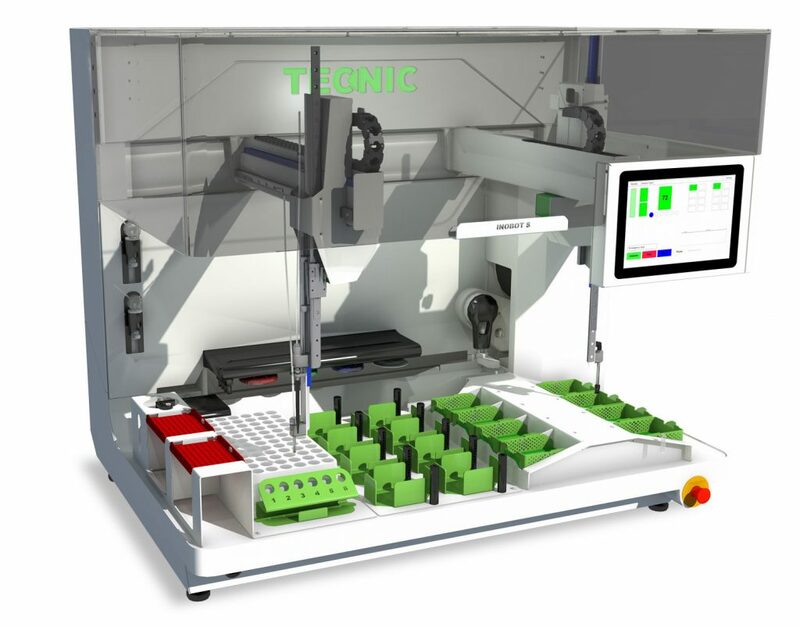 Especially for routine tasks within laboratories, like dilution and inoculation, Tecnic has now enhanced her widely adopted InoBot range with a desktop model robot. This compact robot automatically makes dilutions and inoculations on 3M Petrifilm™ plates and is very easy to use in every microbiological laboratory. After data entry, either manually done or via the LIMS, the robot can fully automatically make per sample, the dilutions, the pipetting and the spreading. Hereafter the samples are put in the outfeed trays and are ready for the incubator stage. After incubation the 3M Petrifilm™ plates can be automatically read using the TAPR (Tecnic Automatic Petrifilm Reader), a fully automated Colony Counter. The InoBot S has a broad application range, like in smaller microbiological labs of food manufacturers or in contract laboratories that need additional process capacity. The robot can be set up in such a way that overtime or shifts are kept to a minimum or are no longer necessary. The average return on investment is 1 year. We kindly invite you to take a look at these innovations on the 3M Food Safety /Tecnic stand nr A124 in Hall 7 during the WoTS in Utrecht 2-5 Oct. 2019. For more information on our products and services please contact sales@tecnic.nl.